Our laminar flow cabinets are positive pressure HEPA filtered storage cabinets with polypropylene construction and clear door providing a constant air wash over the material stored. 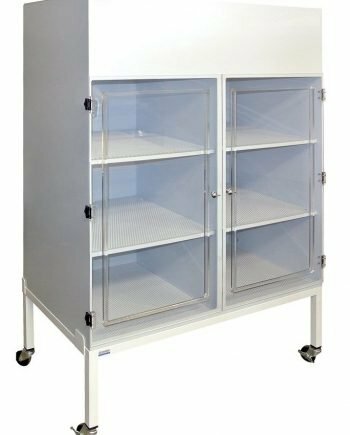 They are ideal for storage of cleanroom supplies, wafers & semiconductor devices, also can be used as a cleanroom garment cabinet if ordered with garment hanging tube without shelf. 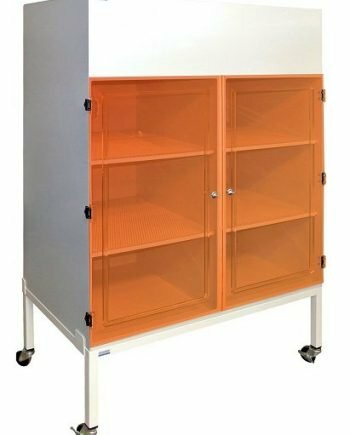 Cleatech laminar flow storage cabinets use a low noise integral HEPA filter/blower module on the top that provide Class ISO 4 and ISO 5 particle-free environment. 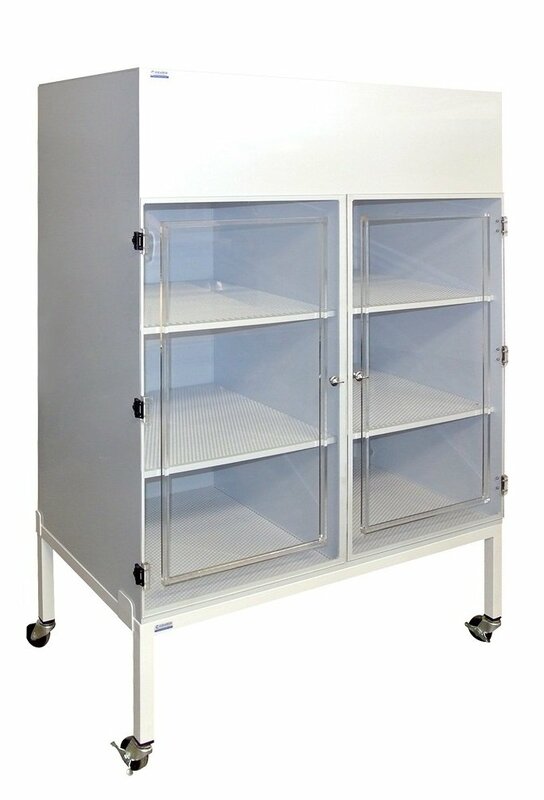 Perforations on the removable shelves optimize air flow and allow distribution of clean air throughout the cabinet. 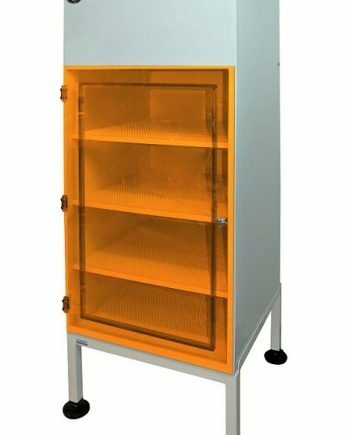 Full access doors in different cleanroom compatible plastics including clear acrylic, amber acrylic or static-dissipative PVC. Polypropylene provides excellent chemical resistance and can be easily cleaned. Prices below are including Fan/ Filter Module and Stand. 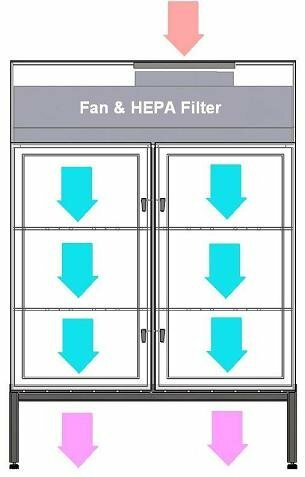 Water Column) monitors pressure differential when it exceeds the limit, it indicates the need to replace the HEPA filter(s). • Construction: Polypropylene & powder coated steel structure. • Front Windows: Choice of Clear/ Amber Acrylic, Clear Static Dissipative PVC . • Performance: Particle count exceeds Class ISO5 requirements.